Friends Groups are people who use, or have an interest in, parks, woodlands, nature areas and other public places. They care about their environment and want to have a say in how it is looked after. Leicester City Council is keen to encourage Friends of Groups as they represent different users of open spaces and can advise the Council on how to meet their diverse needs. They can also help with the maintenance of sites and become involved in the planning and design of new open space improvement schemes. Friends of Groups often result from public meetings of residents and users which provide an opportunity for people to exchange ideas and views for the good of the community. Once the group is established it can work with the Council to ensure that users get the best from their local open space by enhancing it and ensuring its future by promoting it as an asset to the community. The growth of the Cemetery Friends of Group is a sign that users wish to engage with conservation, environmental projects and to ensure the Cemetery stays in a preserved state of beauty. Friends of Groups have played an important role in campaigning to improve the conservation of parks and cemeteries around the country. The formation of these groups is in many ways a very welcome development as they can be the catalyst for significant action in the renovation and continued good management of a site. Even Central Government has recognised the positive role volunteers can play in the enhancement of their local community. In the Queen's Jubilee year of 2012, real progress has been made only after concerned, like-minded individuals from within the Community came together to address the issue of maintenance and to aide the City Council with the mammoth task of keeping the cemetery from falling into decay. The Saffron Garden of Peace Group is an entirely voluntary organisation dedicated to the care, preservation, restoration and conservation of the Cemetery for public benefit. It is a space of beauty for personal reflection, contemplation and remembrance. Setting up this group enables all members of the community to develop this unique space inline with the needs of the bereaved and for those who live in the immediate vicinity of the Cemetery. Every public space has to meet a range of requirements for those who use it and our City Council continually strives to ensure that these diverse users do not cause conflicts between other user groups. Therefore the involvement of all users and local community in a Friends of Group can play a valuable role in helping to minimise potential problems and to ensure that the Cemetery works for everyone. The Committee meets every month to discuss issues, although there is someone at the Cemetery on most weekends for you to approach. We are a contact point and we can take your concerns forward. We can help with any immediate concerns and take forward views and opinions of members and relay them back into the development and management plans for this special place. We are not here to take over the City Council’s role, but we hope to work closely with them to ensure users get the most out of the Cemetery and secure the Cemetery’s long-term future well past burials. The primary function of the Cemetery is to serve the needs of the bereaved is paramount whilst the secondary function is to ensure that this unique place does not fall into a state of neglect and despair. It is important to recognise that once the cemetery closes to burials, the cemetery function would change to that of a place of reflection and remembrance. It was once stated that the way in which a society disposes of its dead can be a hallmark for civilisation and what should be highlighted is the way in which, we as a society remember its dead and maintain these silent cities as a hallmark for civilisation. 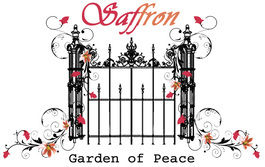 The name Saffron Garden of Peace was chosen for our Friends of Group to bring different communities together under one common banner.